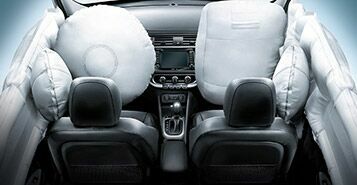 The Rio’s advanced airbag system includes dual front, front seat-mounted side, and full-length side curtain airbags. Driver assistance functions also help to keep you safe behind the wheel. 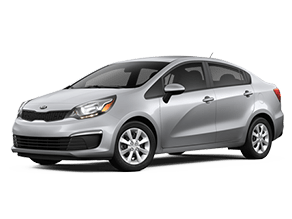 Vehicle Stability Management helps with steering and Electronic Brake-Force Distribution helps divert braking power to the front or rear of the vehicle, depending on where you need it. 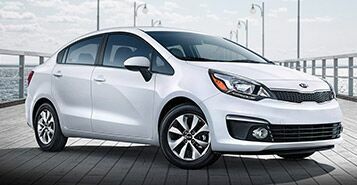 The Kia Rio has an aerodynamic, clean shape, and a distinctive front grille that commands attention. Available automatic light control and fog lights accent the halogen headlights, and with up to eight color options, you can be sure your Rio will turn heads. 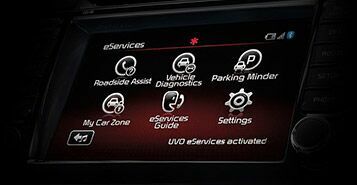 UVO technology helps keep you connected with access to your favorite apps. Bluetooth® connectivity and steering-wheel-mounted controls allow you to answer calls and texts with the touch of a button.